It’s about time a stunning, aggressive and almighty powerful SUV dons the pages of this fine publication. I don’t mean to brag or anything, but do you see my masculine design? My girthy stance adds to solid handling and an expansive expression on the road. 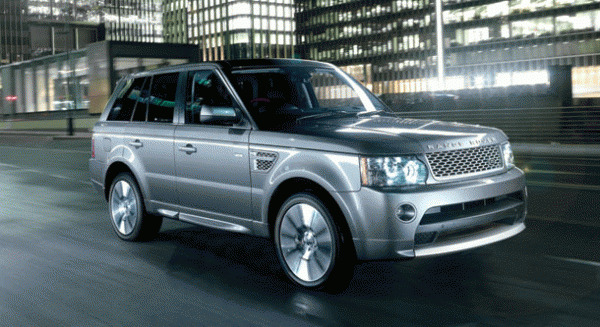 Yeah, it’s me, the Land Rover, Range Rover Supercharged edition. With a 5.0-liter V8 510 bhp engine—good enough for 0 to 60 mph in 5.9 seconds—my unique mesh-design front grille and power vents, there is no question you’ll feel like the king of the road sitting in my seat. My supercharged petrol engine reaches unprecedented levels of performance with high horsepower totals. It’s 31 percent more power and 14 percent more torque than the previous 4.2-liter engines. Six-speed automatic transmission provides sturdy response and control and CommandShift technology helps with some of the smoothest gearshifts on the market. On the inside, the cabin experience is tranquil and quaint, like driving in a roving ballroom dance floor. Engine technologies make for a quiet ride already, but engineers have taken it a step deeper with laminated front screen and front door glass (with an option for laminated rear door glass) to exclude occupants from external noise. Sick of the sun making it a hot ride? Sure, air conditioning is there, but what about the climate control windscreen and front side glass to maintain optimum cabin conditions? I have that too. The privacy glass, which allows rear seat passengers to sit more inconspicuously, also reduces UV light transmission. My new virtual instrument panel is stunning and provides a brilliantly elegant feature on the dashboard. Most other cars and trucks feature individually dull gauges, but with me, you get a 12-inch LCD screen as crisp as a laptop computer. It can be personalized to fit different driving conditions or personal preference. It even has an off-road mode that shifts the speedometer to the right, leaving empty space for wheel enunciation, center status of the vehicle and steering direction. If you’re really cold, the leather steering wheel has an optional heat feature for comfort. A rear view camera helps drivers park much easier. Oh, you ski? Grab the ski bag in back to secure and place your equipment in a ski slot between the rear seats. Bring all of your gadgets on-board and plug them into new connectivity ports: a 3.5 mm auxiliary socket, USB port, and an iPod/iPhone connection in the center armrest. Find your way around with Hard Disk Drive-based Satellite Navigation, redesigned to make it as simple as possible for the driver. Land Rover goes the extra mile to support the environment, using e-Terrain Technologies, which reduce CO2 emissions. This helps to support the company’s goals of conservation and humanitarian partnerships and includes one of the world’s most comprehensive CO2 offset programs.